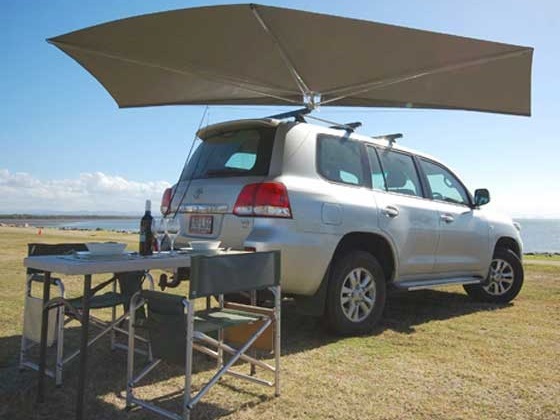 The CleverShade 4WD Shade Awning. Ever find the perfect destination only to realize you don’t have adequate shade? CleverShade can fix that. 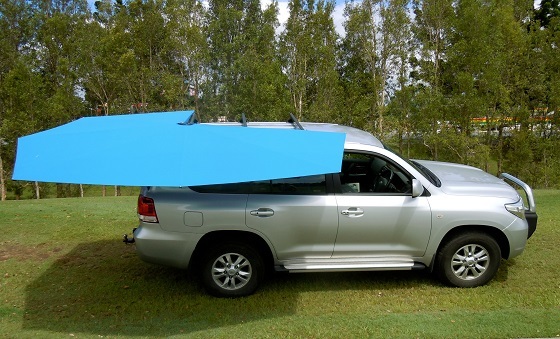 A vehicle accessory ideal for those who find themselves on 4WD adventures often. Caravan Awnings can be difficult and time consuming to get installed and set up. Due to this, we made the simple yet sturdy CleverShade. 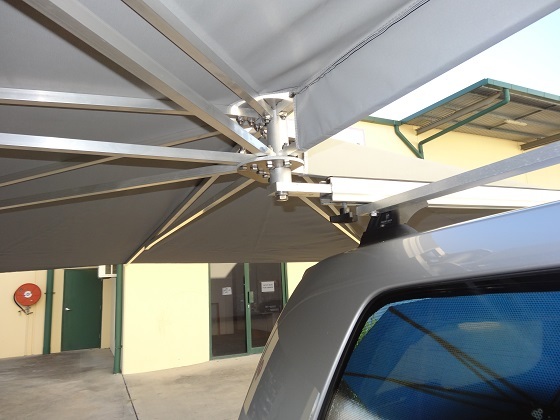 Almost anyone can set up a CleverShade caravan awning in 30 seconds. While Australians love our boating and fishing, we equally hate getting sunburn. 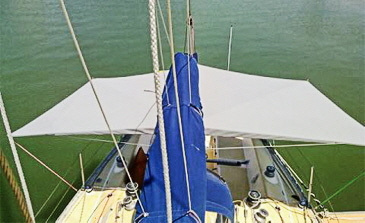 Our CleverShade boat canopy can be attached in a variety of ways to suit almost any situation. No more roasting out on the water, the CleverShade is the shade that moves with you. Australians have a long history with camping and an equally long history of forgetting shelter when they arrive at their campsite. Not anymore! 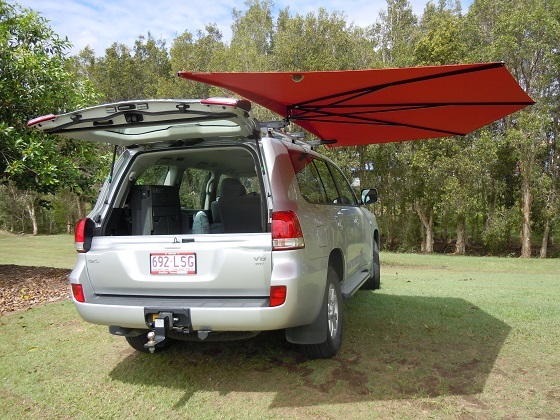 Add a CleverShade to your camping equipment and be covered wherever you go. 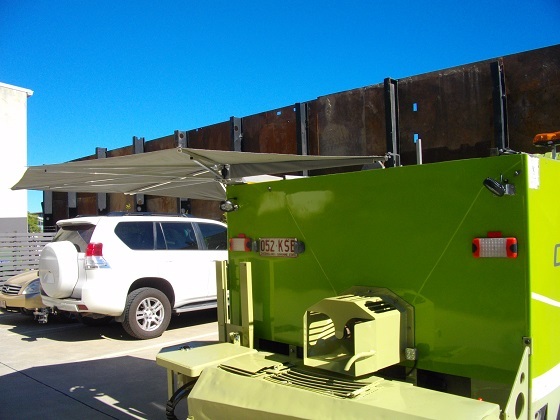 Most recently, we’ve even seen our CleverShade used as an awning on emergency vehicles. Firefighters deal with enough heat on the job. So it’s no surprise they like to cool off and relax like everyone else does. We all love a day at the beach but nobody likes the day after when you’re so burnt you can’t move. Rather than suffer with sunburn for all that time after a vacation or fun weekend, just get a CleverShade. Leave those days in the past with the CleverShade beach umbrella. As a result you will always have shelter from the sun and rain wherever your travels take you. 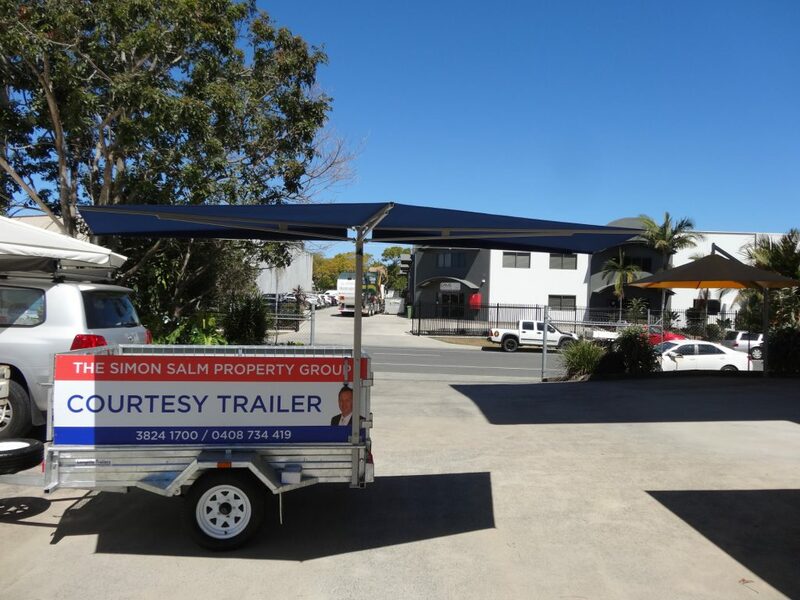 CleverShade attached to a courtesy trailer, useful for those very hot days out in the sun for extended periods of time. Our CleverShade commercial shade awning is ideal for mobile businesses. 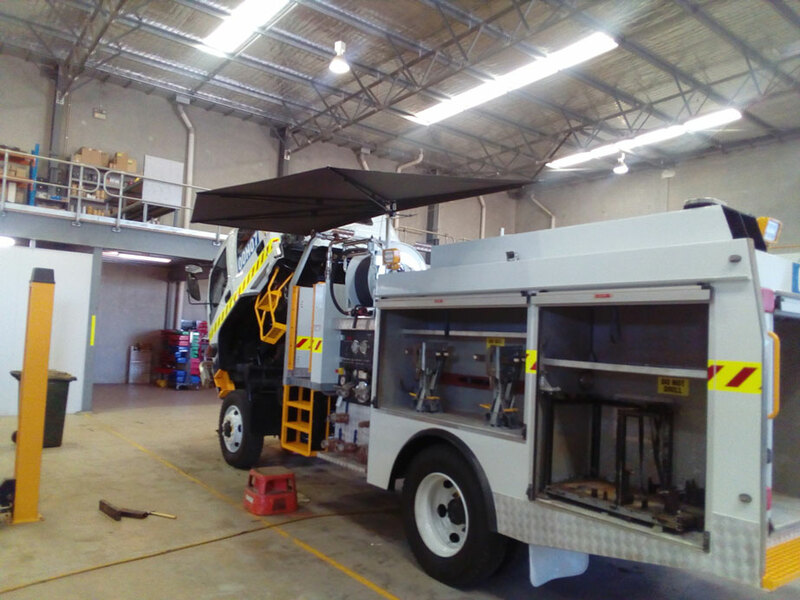 So whether you own a coffee van, a food truck or any of the other travelling businesses around, a CleverShade will keep you cool and dry with minimal fuss. 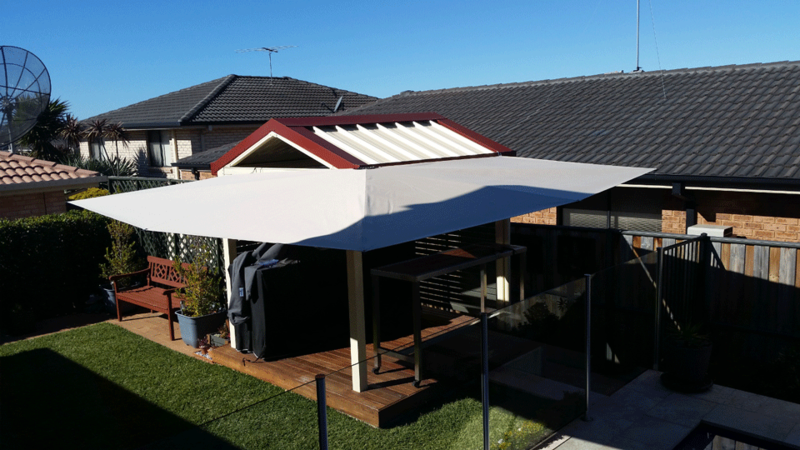 The CleverShade can be mounted to the side of your home to provide collapsible shade for a deck, clothes line, or pergola.